The fabulous fuzzybutts and I are in the Nutmeg State now prepping for our taste testing Saturday and this morning we took our constitutional through the neighborhood we’re staying at down to Clinton Town Beach. The purple or tulip, as they refer to them up here, magnolias are all abloom as are the weeping cherry trees, dogwoods, lilacs, flowering crabapples, and flora I have yet to discover. I have to stop and catch my breath from the beauty of it all at times and I often wonder if the people up here truly get the gift from god they’ve been given. When you walk south to north, as we did on our cross country trek, you’re chasing spring and everything opens up all around you for weeks and weeks. It’s magical really and one of our most memorable experiences was walking on the old Boston Post road or route 1 along the coastline of New England. And though I love fall just as equally to follow it, you’d have to walk from north to south. Sometimes I wish I could take a projector to my brain and broadcast it for you. I try to write that way but words often fail to capture the glory and grace of life. 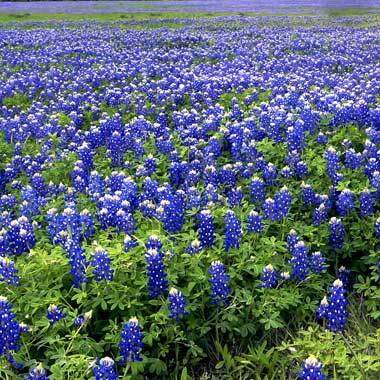 But I couldn’t help this morning, amidst all this splendor, missing the bluebonnet fields of my native state. 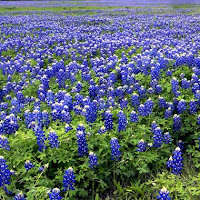 They stretch for miles and miles and it’s as if time stops in Texas when they bloom. Whenever I’m longing for my family and the place I grew up, I listen to Gulf Coast Highway, a duet between Emmy Lou Harris and Willie Nelson. It’s a simple song about love and life and one that I sang to Malcolm the day he was given rest. YBD’s Notes: I’d love to share the song with you but the insidious industrial music studio oligopoly in this country doesn’t believe in beauty without a steep price and youtube removed it from my second memorial to Malcolm. The more tragic aspect of it was it was removed after we walked through the Nashville area and spent an afternoon with Emmy Lou at her dog rescue, Bonaparte’s Retreat. She does great work there and her rescue is named after her roadie dog she lost to cancer. Please don’t contact her in protest – she had nothing to do with it. Studios screw everyone, even artists. My apologies for including this in today’s blog but I must.